Features & Specifications :Supply Voltage : 85 to 270V AC/DC, 4 digits programmable, multifuncti.. 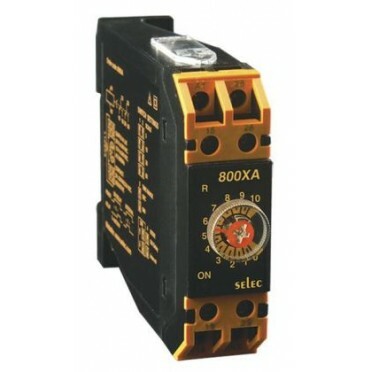 Features :Cyclic with unequal ON & OFF timeLED status indicator: Power ON, Relay ONDIN Rail / Ba.. Features & Specifications :Mounting Type : Back panel mountRange : 1/3/10/30 sec/min/hrOutput Co..